Do You Feel the Need to Be Impressive? 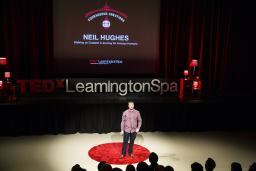 Hi, my name’s Neil Hughes and, because I’m human, I want you to be impressed by me. This is a normal urge. We are social animals, so it’s natural to be concerned about our status within the tribe. Our brains: Am I important? What do people think when they meet me?